OK, so when we last left off, I was in Shanghai, writing a half-assed update because I had crap for computer access. I can finally give a proper update of some exciting things I've seen in the last week, complete with plenty of photos! 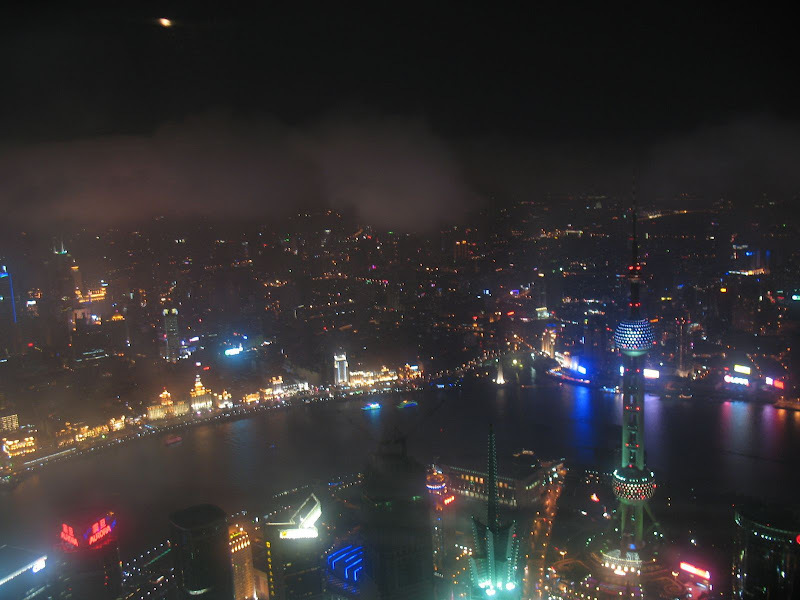 Looking across the Huangpu River at Pudong, the financial district. 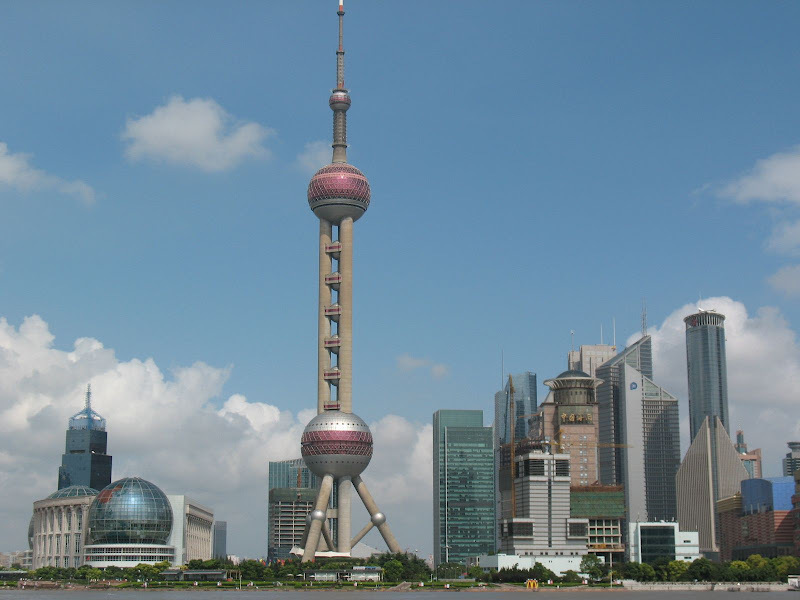 The odd-looking tower is the Pearl tower, which I believe is the tallest structure in China. Now, back around again. Just a little further south from the Pearl tower, you can see China's two tallest buildings. 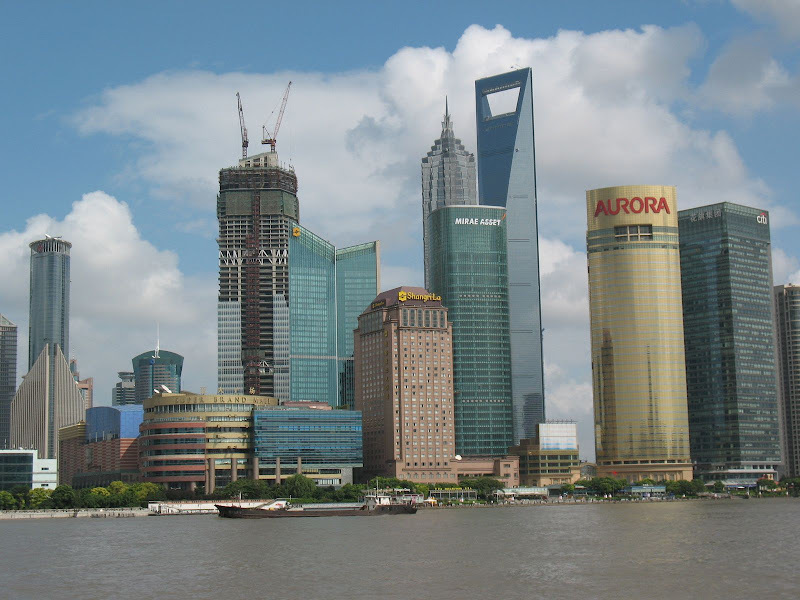 The one that looks kinda like a bottle opener is the Shanghai World Finance Center. I went up to the observation deck, which is on the floor just over the big hole. It has a glass floor, so you can look down on the rest of the building. From Shanghai, I hopped a train west to Xian. I'll give the rundown on the trains later. I wasn't so much interested in Xian, as it's a big city of 7 million. It does have a cool wall that encloses the city center. 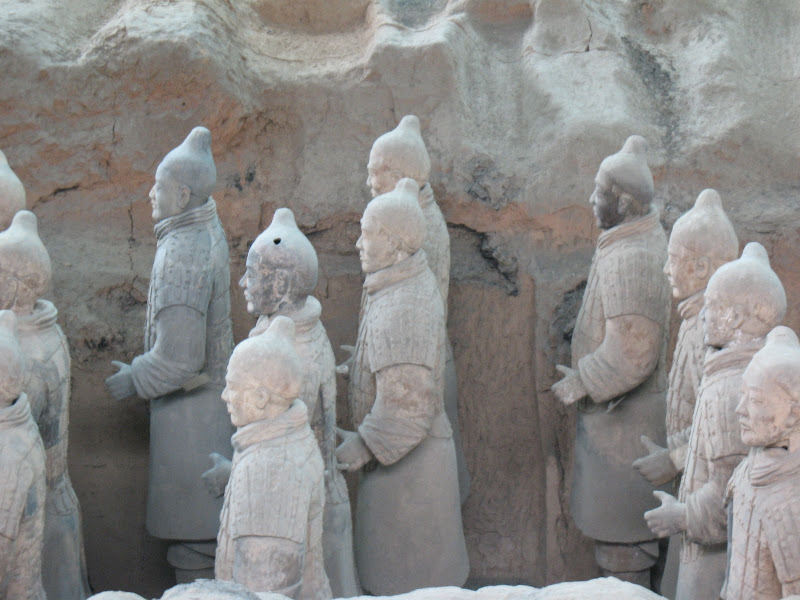 The big reason to visit Xian is to see the Terracotta Warriors. They're more than 2,000 years old, but were only unearthed in the 70s. 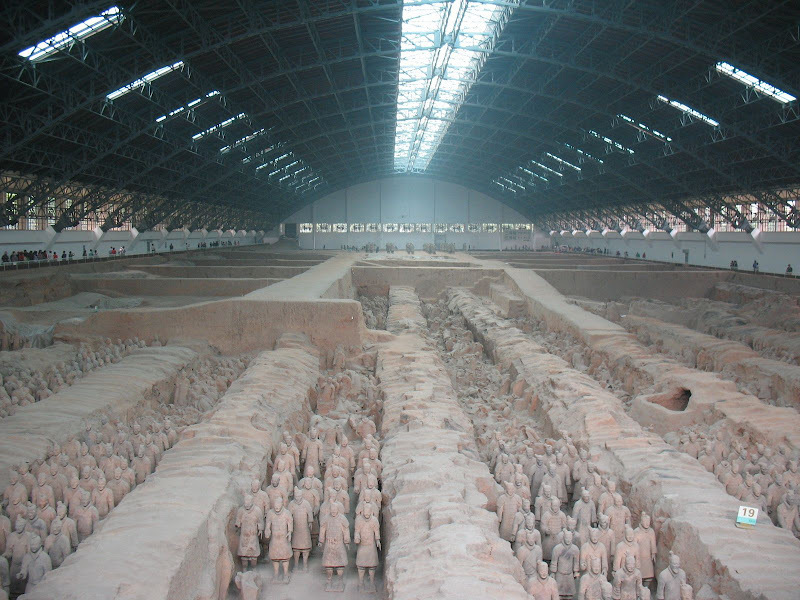 The first emperor of China, Qin, ordered them built as an extension of his tomb so that he would have protection in the afterlife. 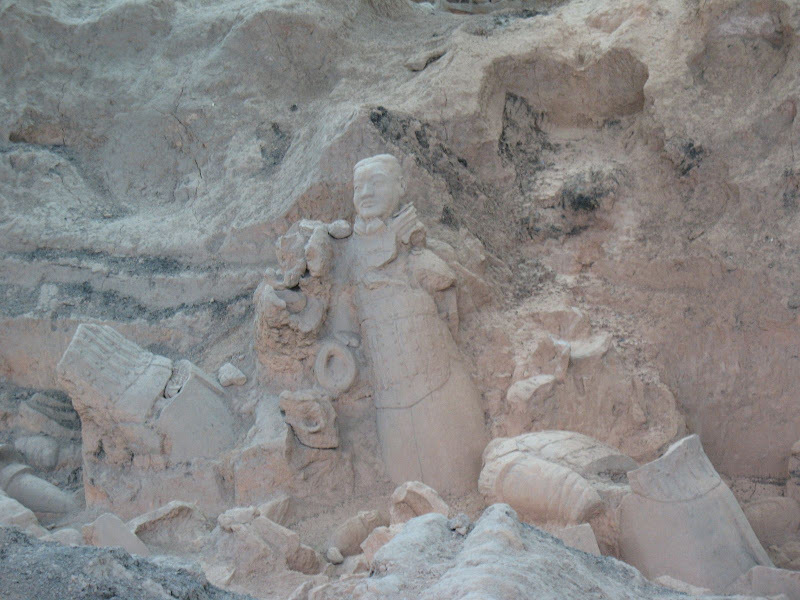 Excavation is slow and ongoing, but there are plenty of soldiers on display. Each soldier's face is unique. 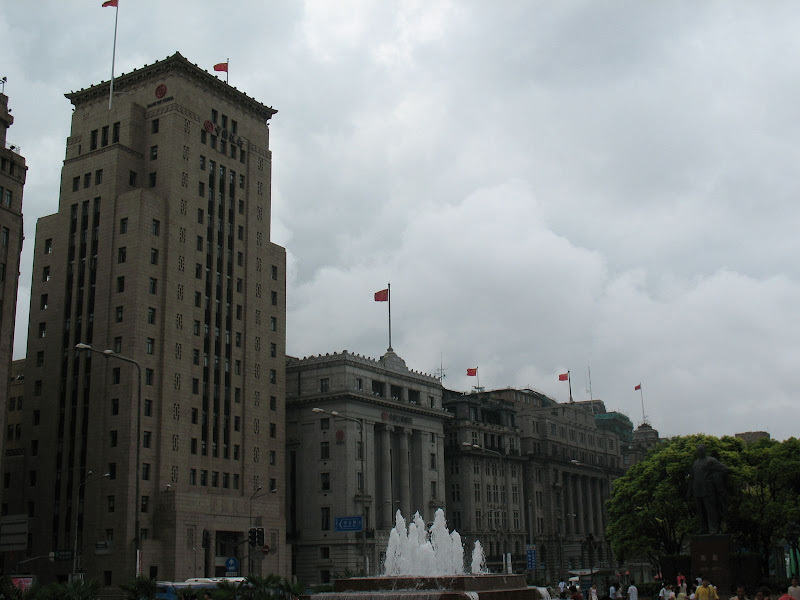 I spent only one night in Xian, as I'm eager to get started on the "real" part of my trip. I intend to spend a lot of time in Sichuan and Yunnan provinces, which are in southwest China, near Tibet. There is a lot to see in these provinces, including many small minority towns. I'm in Chengdu right now, which is another rather large city, but it's a good launching point for seeing other areas. As far as my safety, given that this year's earthquake was here in Sichuan, I won't be going too near the affected area. I probably will be heading to the west and south of Sichuan. The owner at the hostel (Sim's Cozy Garden Hostel--big plug! Perhaps the best hostel I've ever stayed in!) here said he could give me a lot of recommendations for some cool things to see. I'll leave the details for later, but it sounds like I could have a lot of fun in the next couple weeks. 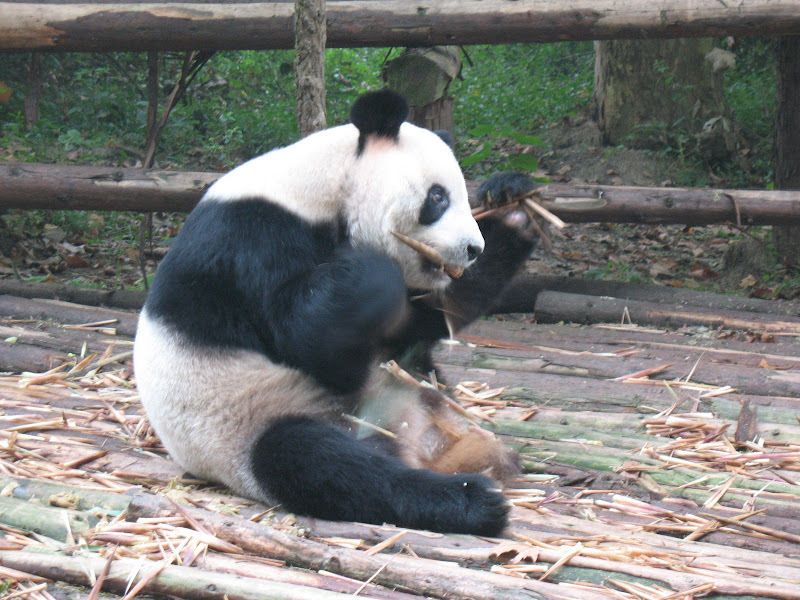 The main giant panda breeding center is here in Chengdu. 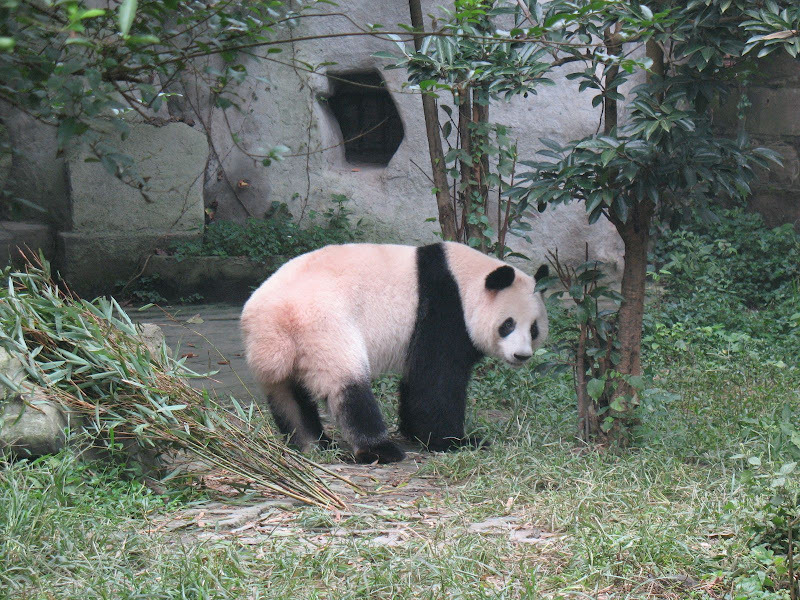 Only about 1,000 giant pandas remain in the wild, so their work here is very important. 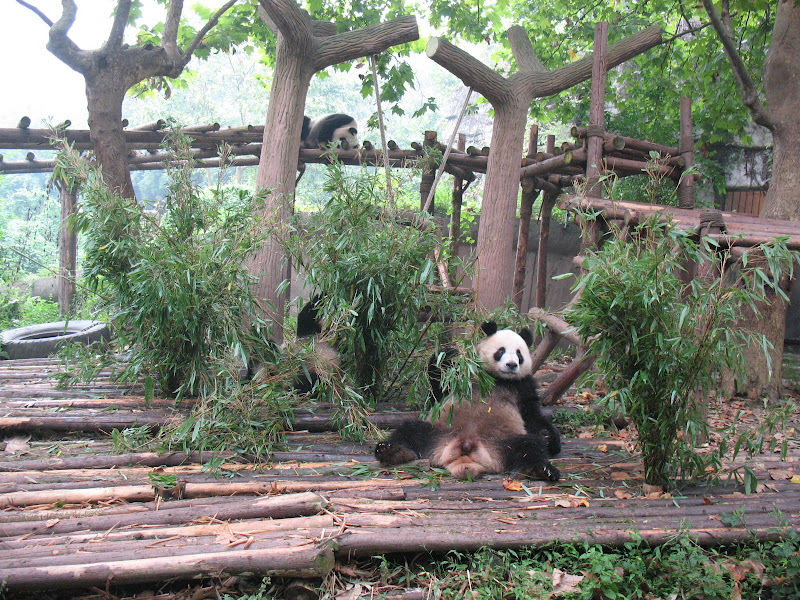 We got to see pandas of all ages doing what they do best--eating bamboo and sleeping. It was quite cool; I'd never seen a panda before. I saw pandas as young as one month old, but we're not allowed to take photos of them since their eyes are underdeveloped and camera flashes would harm them. In the coming weeks, I'll likely be heading into more rural areas. My internet access will be sporadic, but I promise to update when I can, with plenty of photos. I'm very excited about the possibilities. And now a quick note about pollution. Perhaps the best days I've had in China were in Beijing, which has been called the most polluted city in the world. But due to the Olympics, several restrictions on factories and cars were in place that made the air much cleaner. I had some great blue sky days. But if Beijing is usually the worst, I am scared of what that would be like. Xian and even more so Chengdu are horribly polluted. It may very well be a bright sunny day out but I can't tell because the entire sky is white/gray and visibility is typically less than a mile. It's absolutely disgusting. Blowing your nose can produce all colors of goodies. So if not for the people and the scenery, the fresh air is another reason to get out of urban China. HAH. I love the pictures from either side of the river in Shangahi. On one side it almost looks like NYC in a way, then you turn around and it's London, or some other older European city. Cool. Glad you're having a good time, Justin!